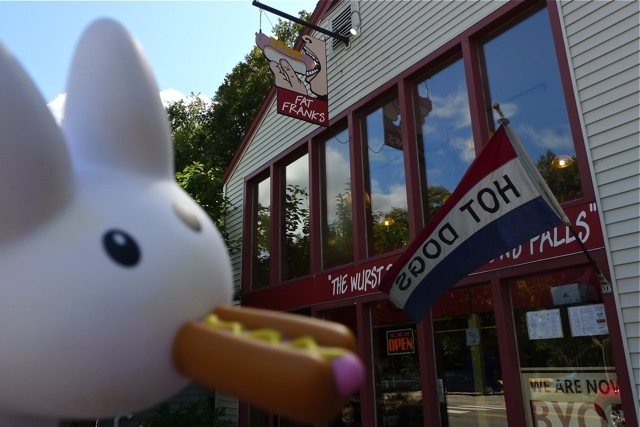 Pipkin likes to go to The Wurst Place in Bellows Falls...Fat Franks! 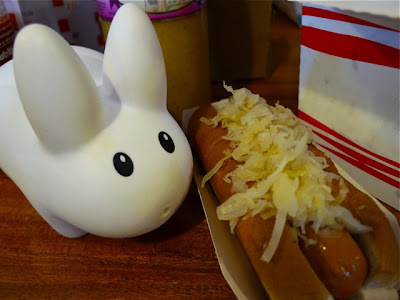 Located an easy hop downtown, Pipkin will often order either the tofu dogs with sauerkraut, or the veggie burgers. There are lots of options for meat eaters too. The double fried french fries are also a naughty treat, but Pipkin tries not to indulge too often. Mmmmm tofudog with sauerkraut and mustard. 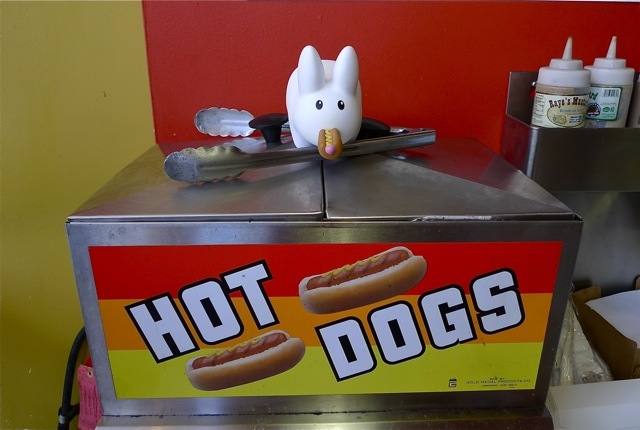 Pipkin also likes that they have their own hot dog flag. To the right of this photo, there's also a raised deck so you can enjoy your sausages, hot dogs or burgers outside in the sun.